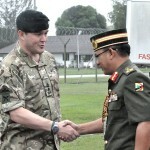 On Monday 27 January, British Forces Brunei were paid a visit by Major General Dato Paduka Seri Haji Aminuddin Ihsan bin Pehin Orang Kaya Saiful Mulok Dato Seri Paduka Haji Abidin DPKT SMB PJK BSc (Hons) Fellow of ACDSS MA psc, Commander of the RBAF, who is relinquishing his command later this year. 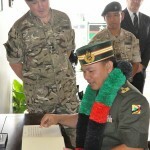 The General was accompanied by the British High Commissioner to Brunei Darussalam, His Excellency Mr David Campbell, and the Defence Attaché, Wing Commander Mike Longstaff OBE RAF. The visiting party were welcomed by CO 1 RGR / Commander BFB, Lt Col Jody Davies MBE, along with the COS, Maj Chris Boryer MBE and Maj Ram Bahadur Pun, Gurkha Major 1 RGR. 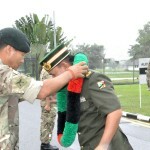 Comd RBAF then inspected an honour guard commanded by Sgt Rajesh Pun of A Coy, 1 RGR. The visitors were then given a brief of the Garrison’s current and planned training activities. The General then visited members of 1 RGR, including the Mortar Platoon, who demonstrated the weapon drills for the 81mm mortars and the dismounted close combat trainer, supervised by WO2 (QMSI) Varley SASC. 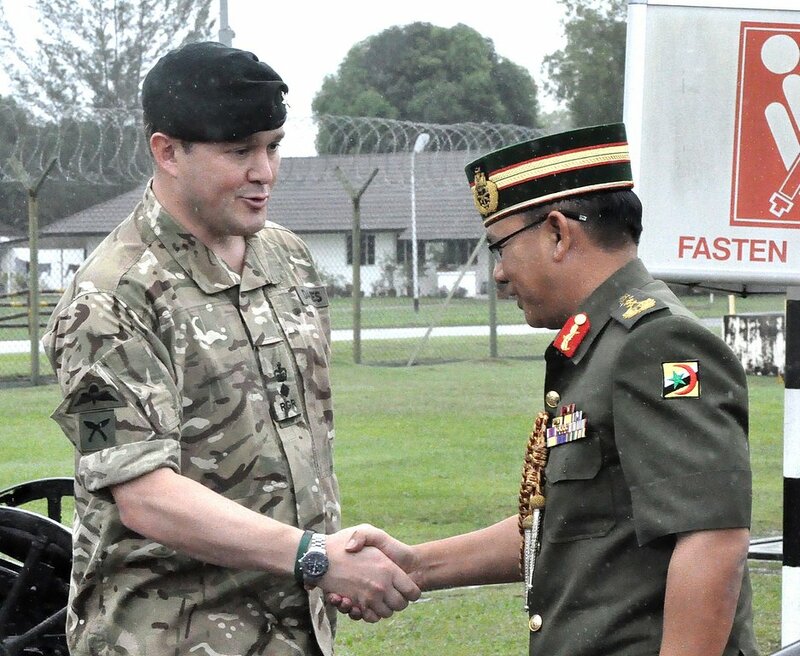 The visit was a reminder of the close ties of partnership and friendship which continue to thrive between the British Garrison and their colleagues of the RBAF. 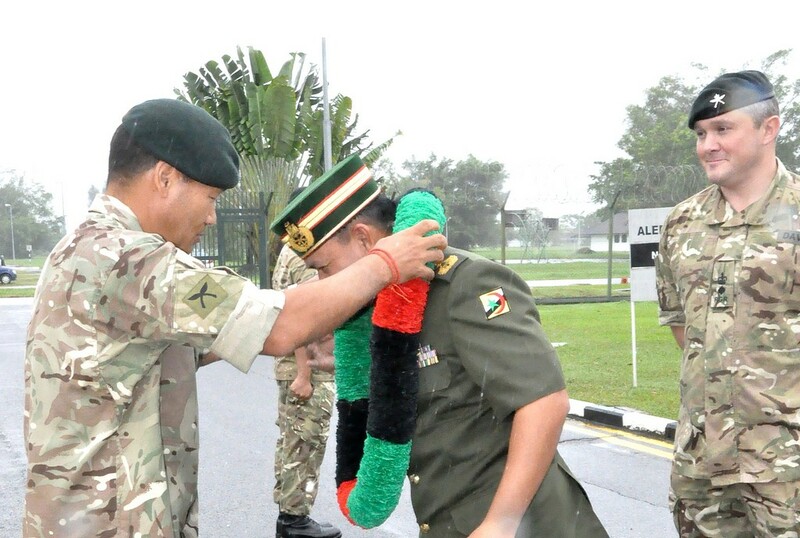 The General expressed his fondness and admiration for the Gurkhas and the high regard placed by the RBAF on their shared training. 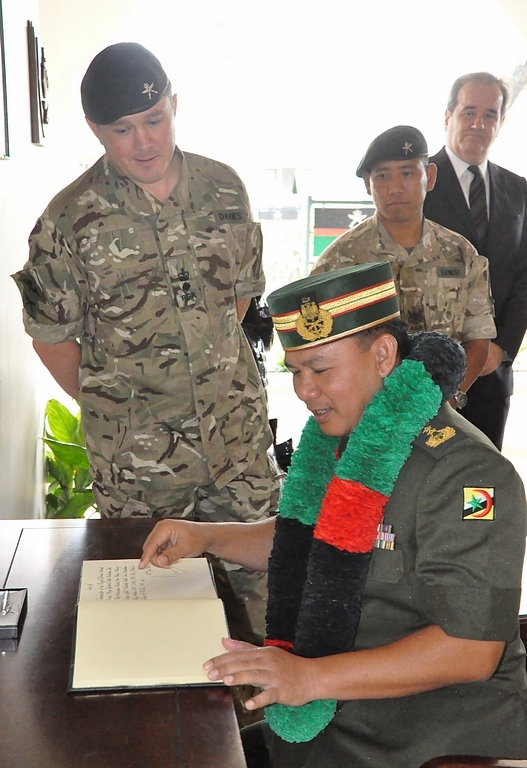 Before leaving, the General was presented with a Gurkha Hat and a set of RGR cufflinks by CO 1 RGR, a reminder of a long and successful partnership.